We love owls so this two handled vase was a no brainer! 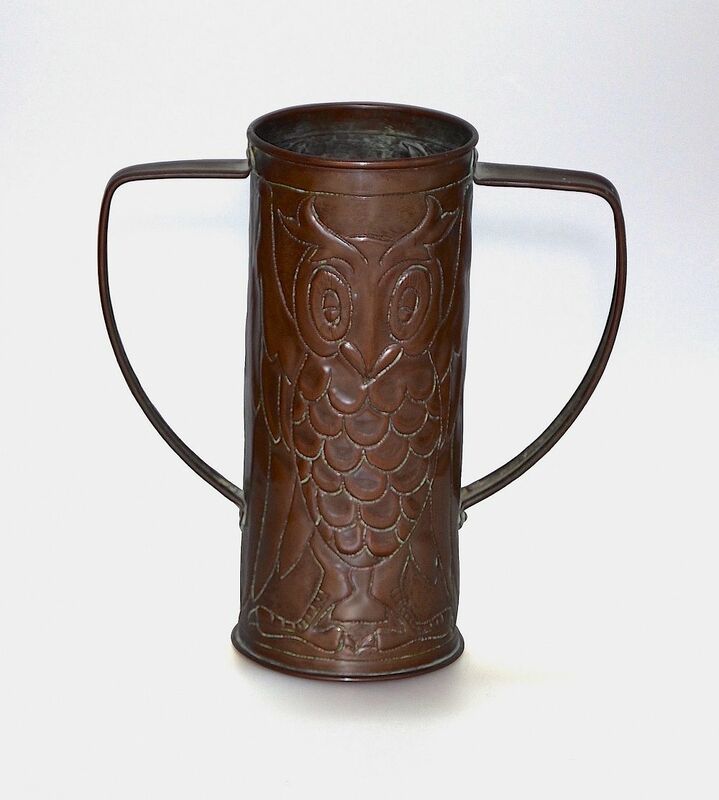 Made of copper in the Arts & Crafts period, both sides of the cylindrical body are decorated with a owl with partially spread wings. It is not signed.